Week in Review: How have the City Council’s utility consultants kept their contracts for so long? 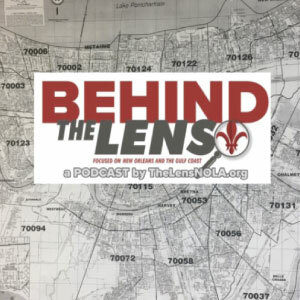 Plus, Russel Honore does an extended interview on Behind The Lens. And two opposing perspectives on the RTA’s plan for the Canal streetcar line. Cannizzaro and a number of his prosecutors are facing a federal suit for allegedly violating people’s civil rights through their use of fake subpoenas and material witness warrants. Plus, a conservative argues against capital punishment. And a new episode of Behind The Lens. Week in Review: How and when does the Orleans school district decide to close schools? How should it? Plus, following this week’s decision to OK a controversial power plant, a look at the relationships — business and political — between some City Council members and Entergy. And more on the Mosaic Fertilizer wastewater situation in St. James Parish. CIty denied a public records request from the defense attorney last summer, claiming it would reveal sensitive information related to terrorism prevention. But civil rights groups representing her say the cameras are, in fact, normally used for routine law enforcement and criminal prosecution. Plus, a City Councilwoman wants the RTA to stop sharing hotel tax revenues with the tourism industry. And a new financial audit of Harney elementary’s former charter operator reveals more problems. Plus, Entergy hits another snag on proposed power plant. NOPD makes some progress meeting consent decree requirements, but it’s still not quite there. And rural communities across the state may soon have to take action on their aging water systems.